As true for boxing as business: Champions in business are not born. They are made. In an era of bankruptcy and bailouts, two-time Heavyweight Champion of the World and record-busting businessman George Foreman steps into the ring to challenge prevailing conceptions of success and achievement and lays out a new way of doing business—the way of the Knockout Entrepreneur. The Knockout Entrepreneur: * Is focused on smart growth, fearlessly seizing opportunity, and building an organization of significance. * Is an idea wrangler and visionary who uses God-given imagination; who never gives up, gives in, or backs down from the hard work necessary to make it. * Is an encourager, risk-taker, mentor, and giver in a world that often reflects the opposite. * Is defined by integrity and generosity rather than title and possessions. * Amasses wisdom over wealth and knows that when all is said and done, the greatest ROI is found in faith, family, and community. Foreman equips you with principles and strategies to help you come out swinging and backs them up with personal stories, contemporary accounts of success, timeless wisdom, and leading questions—all of which are geared to help you put your Knockout plan into action and achieve extraordinary levels of success. About the Author: George Foreman, once boxing's heavyweight champion of the world, is best known today as an entrepreneur and philanthropist. He is a frequent speaker at nationwide events and a New York Times best selling author. George is an ordained minister and preaches twice a week in his church in Houston. He is the father of ten. As true for boxing as business: Champions in business are not born. They are made. 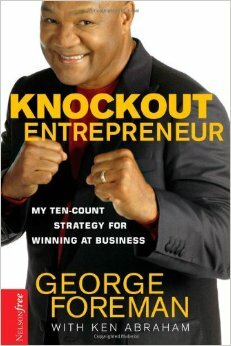 In an era of bankruptcy and bailouts, two-time Heavyweight Champion of the World and record-busting businessman George Foreman steps into the ring to challenge prevailing conceptions of success and achievement and lays out a new way of doing business—the way of the Knockout Entrepreneur. * Is focused on smart growth, fearlessly seizing opportunity, and building an organization of significance. * Is an idea wrangler and visionary who uses God-given imagination; who never gives up, gives in, or backs down from the hard work necessary to make it. * Is an encourager, risk-taker, mentor, and giver in a world that often reflects the opposite. * Is defined by integrity and generosity rather than title and possessions. * Amasses wisdom over wealth and knows that when all is said and done, the greatest ROI is found in faith, family, and community. Foreman equips you with principles and strategies to help you come out swinging and backs them up with personal stories, contemporary accounts of success, timeless wisdom, and leading questions—all of which are geared to help you put your Knockout plan into action and achieve extraordinary levels of success. About the Author: George Foreman, once boxing's heavyweight champion of the world, is best known today as an entrepreneur and philanthropist. He is a frequent speaker at nationwide events and a New York Times best selling author. George is an ordained minister and preaches twice a week in his church in Houston. He is the father of ten. 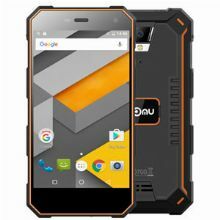 52 out of 55 people found this review helpful. 53 out of 57 people found this review helpful. 64 out of 65 people found this review helpful. 47 out of 51 people found this review helpful.